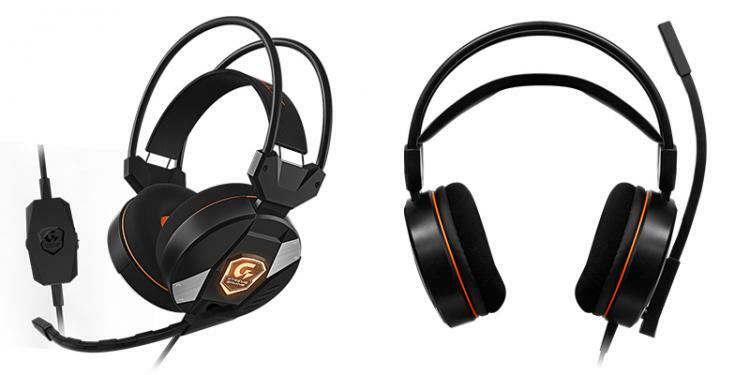 Gigabyte announces an entire line of Xtreme Gaming series gears and peripherals including a keyboard, a gaming headset, two PC cases, a CPU cooler and a gaming chair. The Gigabyte Xtreme Gaming line up aims to complete the comprehensive Xtreme Gaming experience to go along the flagship graphics cards, motherboards and power supply under the Xtreme Gaming series. The gears along with the Xtreme Gaming hardware can be controlled and synced up its RGB lighting using the Xtreme Engine utility. The Xtreme Gaming XK700 mechanical gaming keyboard is built for precision control and responsiveness. It is equipped with gaming-grade red key switches with full N-key rollover and has large rubber feet for a firm and secured hold on any surface even with intense gaming. It has an adjustable rear height for comfort and a sleek and clean aluminum front panel for a luxurious look and solid structure. It also features RGB lighting and on-the-fly controls and customizations. The XGC300 features a higher backrest with up to a 180-degree tilt with plenty of adjustment options for comfort. It is ergonomically designed geared to gamers to provide comfort even after long hours of gaming. 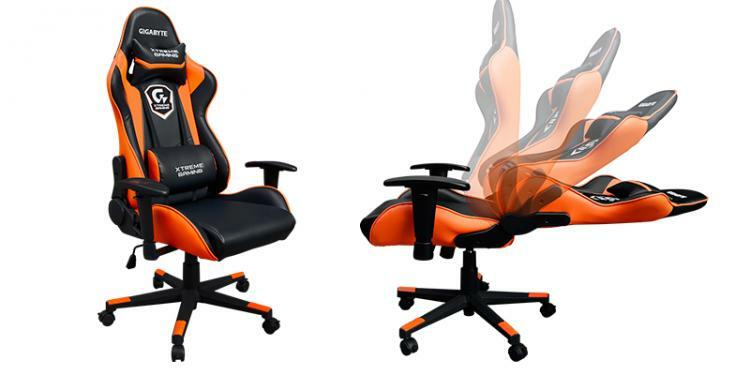 The XGC300 gaming chair comes with lumbar support and headrest pillow to provide support to lower back and neck. The XH300 gaming headset feature true-to-life gaming audio and enhanced bass for the best gaming experience generated by the powerful 50mm driver units. The XH300 has a bendable microphone boom for flexibility and adjustability to achieve the best communication. The XH300 also has RGB lighting that can be controlled through the Xtreme Engine utility. 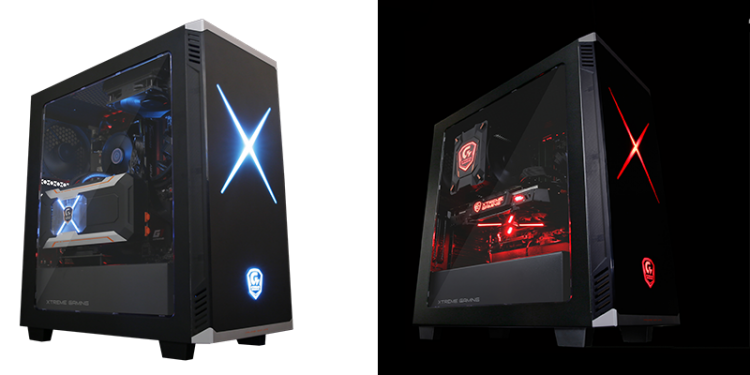 The XC700W full-tower case is a feature-packed gaming case with a massive space for high-end hardware and very flexible liquid cooling support. The XC700W also features a 4mm thick smoked tempered glass window to show your priced hardware inside while giving emphasis on lighting and hiding the cable from the limelight. The case also has RGB lighting controllable via the Xtreme Engine utility. The XC300W is designed for budget gamers looking for a gaming case with good flexibility to expand and upgrade if desired. The XC300W has two graphics cards orientation options, the standard vertical and horizontal with the cooler facing in front. The XC300W has a transparent acrylic window to showcase the hardware inside like what most enthusiasts and gamers desire. The case also supports RGB lighting via the Xtreme Engine utility. The XTC700 is a tower CPU cooler with two big 120mm PWM fans for superior cooling performance. 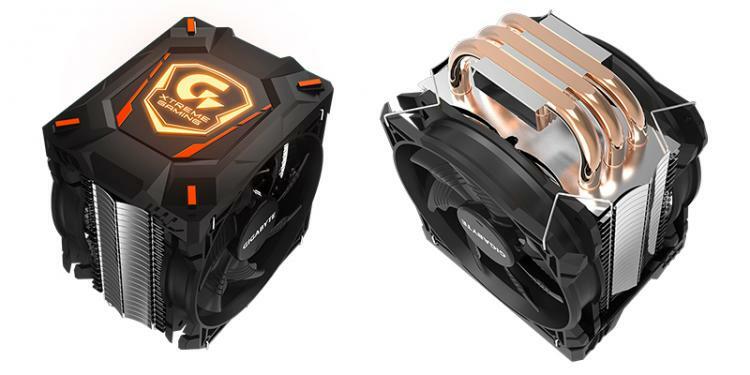 The Xtreme Gaming XTC700 CPU cooler boasts efficient cooling performance with silent operation. The fans use a Gigabyte patented design that enhances airflow by 23% while the 2-ball bearing structure extends lifespan and stability. The XTC700’s Xtreme Gaming logo has RGB illumination as well and is customization and controllable via the Xtreme Engine Utility.